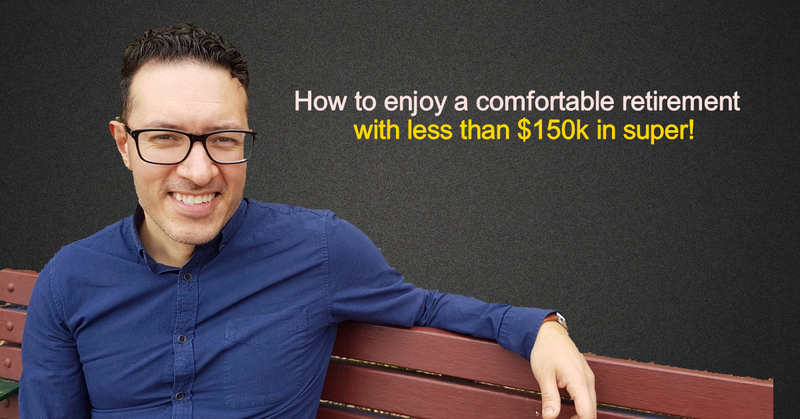 How To Enjoy a COMFORTABLE Retirement with less than $150k in super! 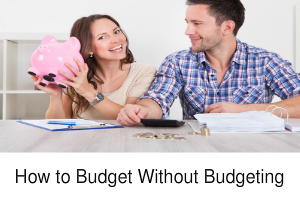 Most finance experts will tell you that when you eventually decide to hang up those boots and retire, you’ll need at least $1,000,000 saved as well as paid off your home in full. Depending on what you want to do and when you want to retire, that might actually be true, but what if you have no hope of ever saving that much for retirement? Can you still have live a comfortable lifestyle in retirement? 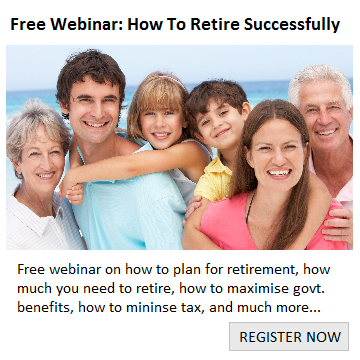 In fact, I’m going to show you how you can live a comfortable retirement with only $150,000 or less in super. 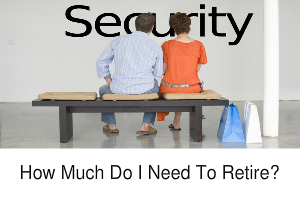 There are three steps to enjoying a comfortable retirement even if you have less than $150,000 stashed away in your retirement nest egg. You have to have your house paid off because this strategy won’t work anywhere near as well if you have to pay rent (especially the way rent prices are these days). Part of this money is for you to do whatever you want like travel. The other part is will act as an emergency fund in case things go wrong. I know what you’re probably thinking but bear with me for a minute. Besides, there is a growing body of research that highlights retirees who continue doing some kind of part time work are amongst the happiest and least likely to suffer depression. Just google it and see for yourself. You both work one day per week earning $10,000 each per annum. What’s even better is that you won’t pay any tax! 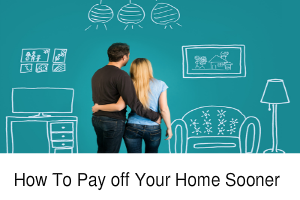 In my experience having worked with hundreds of retirees, $53,000 a year will afford most people who have paid off their home a reasonably comfortable retirement. It’s by no means a lavish lifestyle, but it can definitely provide a comfortable one. With your money managed well, $53,000 a year (plus your slush fund) should allow you to pay all your housing bills, own a reasonable car, keep your gym or yoga membership (or whatever your into), buy your grandkids presents, regularly visit your favourite café, travel regularly, and more. Obviously there are good ‘financial’ reasons for working longer. However, our experiences with retirees tell us that it’s more than just money. Working part-time is a way of keeping our minds active, giving our lives structure and purpose and allowing us to identify with and interact with others. In an article written by Barbara Drury in the Sydney Morning Herald, Michael O’Neill (chief executive of National Seniors Australia) is quoted as saying that “there are also potential benefits to general health and psychological well-being”. ”If you go from full-time work today and stop tomorrow, there is a potential impact on your self-worth if you suddenly have nothing to do,”… “Remaining connected to the workforce provides ongoing social interaction and mental activity, as well as the chance to mentor the next generation of workers”. The government provides incentives for working past your age pension age through better Centrelink treatment of the income and allowing you to earn a reasonable amount before you start paying tax. Even if you don’t need to work part-time for financial reasons, I would still strongly support the idea if health permits. I’ve seen first-hand the benefits. Most of my retiree clients who work part time absolutely love it. So maybe retirement can take on a new definition. The word retirement can mean you retire from the usual 40 or 50 hour a week grind, but replace that with some form part time work and get that perfect work-life balance you’ve always been looking for. I know it’s not for everyone reading this. Some people have health and personal issues that will prevent them from being able to do this, but a lot of people are able to do this, since there are different aspects of health, from the psychological to the physical that you can maintain keeping a healthy diet and avoiding some foods like fat and sugar, and there are even supplements as sweet defeat that help with this. This is why its so important to keep your skills up. Older generations can be an invaluable resource and have so much to offer with a lifetime of experience in their field. More and more employers are realizing this and making room for older staff. Just look at Bunnings! How many ex-tradies work there to impart their knowledge on their customers and staff. Personally I think the government should be doing more to provide employment opportunities for the ageing and I think over time, that is exactly what will happen.